Both canoes and kayaks are used for recreational sports nowadays. I am pretty sure you have mistaken a canoe for a kayak or a kayak for a canoe at least once in your life. 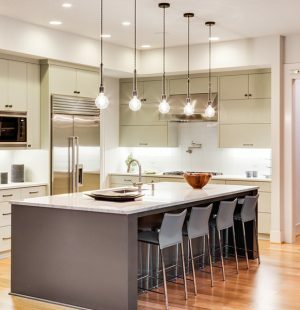 In fact, you may still have that confusion and therefore you are not able to tell the difference because of their streamlined narrow structures. 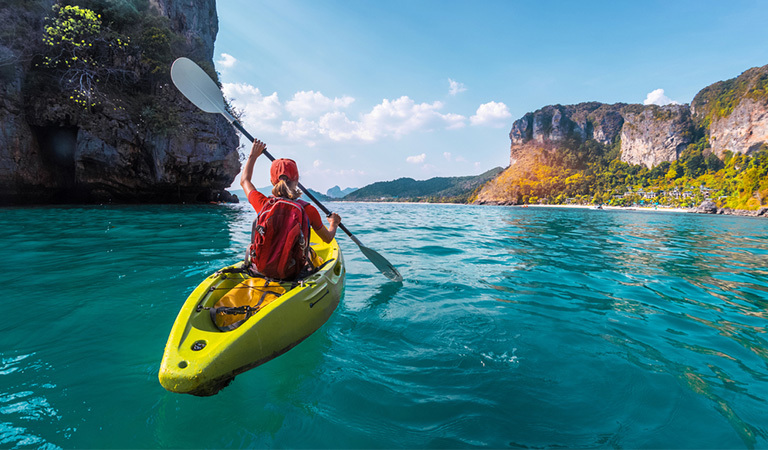 This article will help you learn the basic difference between kayak and canoe, and may even get you prepped for your next canoeing or kayaking adventure. 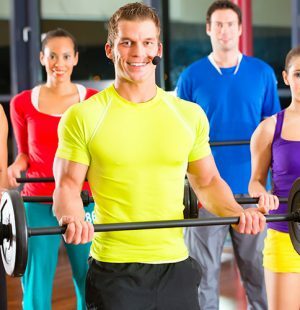 Both are great ways of exercising and spending leisure time with family and friends. Both are used for extreme sports (even in professional events like the Olympics). Canoes are more popular as a mode of transport in some countries, while kayaks are more popular for fishing. So whatever you pick, make sure you know what you picked and why. What Canoes and Kayaks Are Usually Used For? My father was the person who taught me the basics of canoeing as well as kayaking. He used to take me out to nearby rivers and pristine lakes for kayak fishing. One day he took me to a beautiful and peaceful lake where I spotted a red boat sailing nearby. I was curious and asked my father with my innocent eyes what that red-colored boat was called. He said it was a canoe, similar to ours. Was he right, or was he wrong? He was actually both right and wrong. The red boat I saw was nothing but a kayak converted to a canoe! Yes, these boats were that flexible! Canoes are generally used for camping and marathon purposes. There are sports events such as polo and sprint racing. Huge sailing tournaments are arranged with outrigger canoes. These canoes can be attached together to form catamarans or attach support boats, something that kayaks cannot do. Canoe slaloms are competitions based on running over rapids. Kayaks are used for surfing and fishing activities. Kayaks are also used to ski on mountains. Canoes and kayaks both are small, thin and streamlined with ends pointing upwards. Canoes, however, have raised seats and some types can accommodate more than two people. Paddlers use paddles that can be either single-bladed or double-bladed. These blades are usually at one end of the paddle. Canoes generally need to be manually powered. Kayaks, on the other hand, do not need to be powered manually. Paddles used for kayaks generally have blades at both ends. The seat is low and they do not accommodate as many people as a canoe can. The sitting positions are different for both. In a canoe, a person kneels on the bottom and paddles towards the direction of travel. While, in a kayak, the user sits with legs extended to the front on a low seat. 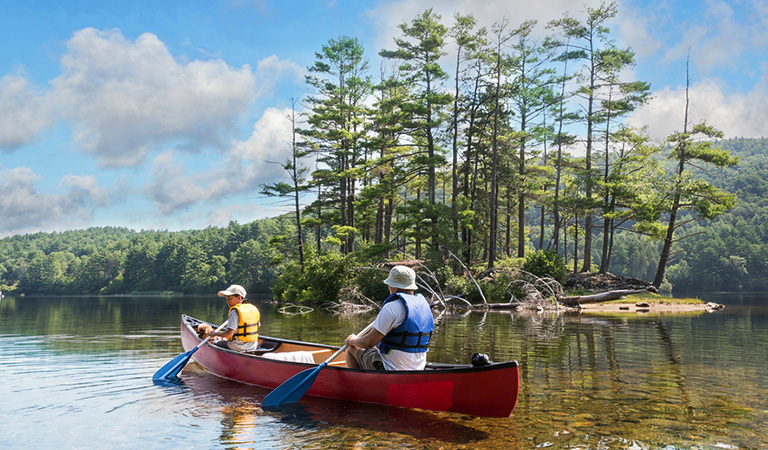 Since canoes are more open-spaced than kayaks, people in general find canoes much easier to use and people of various ages and abilities can participate. Because of their open nature and lightweight construction, sometimes water seeps into the canoe. You might have to throw out excess water everytime that happens. They are actually difficult to control, especially in high winds. However, kayaks can handle any weather and any conditions. So unlike canoes they can tolerate high wind speeds. Kayaks also use paddles with blades at both ends, providing much better controls and there are many accessories too for this purpose. Water usually does not get in a kayak, but there are kayaks with open systems these days. A major difference between kayak and canoe is the type of material used in their construction. 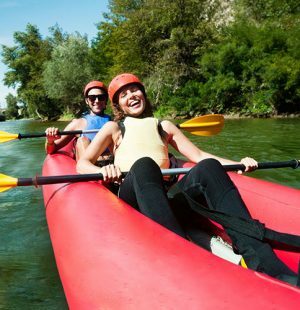 Depending on your budget you can decide what type of canoe or kayak you want. Rotomold is the most commonly used material and perfect for kayaking around rocky areas. 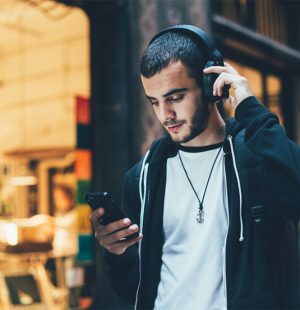 Fiberglass is used for lightweight construction and could be costly, but kevlar is even more expensive. Some kayaks or canoes are made according to their specific purposes. Did you know there are canoes made from concrete? There are also kayaks built for fishing specifically and they contain rod holders, anchor trolleys and bait containers. Specially designed kayaks called flyaks can also be found. Flyaks have their hulls raised out of the water and so they have higher speeds. Hawaiians have wooden canoes called ‘Malia’ which they use for racing. 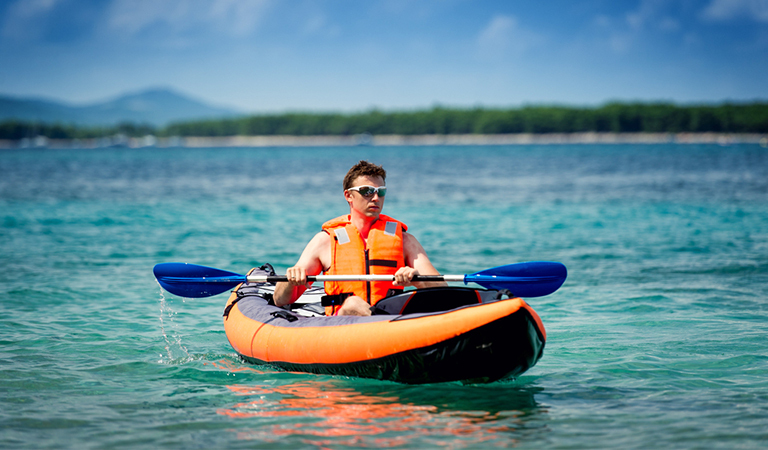 Inflatable kayaks are simply cheap polythene-based portable kayaks. 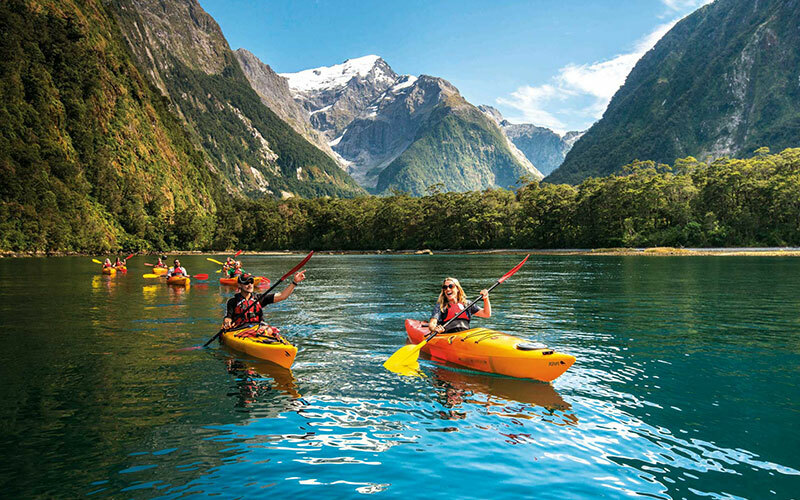 Sea kayaks are built specifically for handling open spaces of water, like large rivers and oceans. Surf kayaks have a hull shaped like a surfboard and also has tailfins to ride on ocean waves. There are sit-on-top kayaks available. These do not sink but a paddler cannot remain dry when riding them. 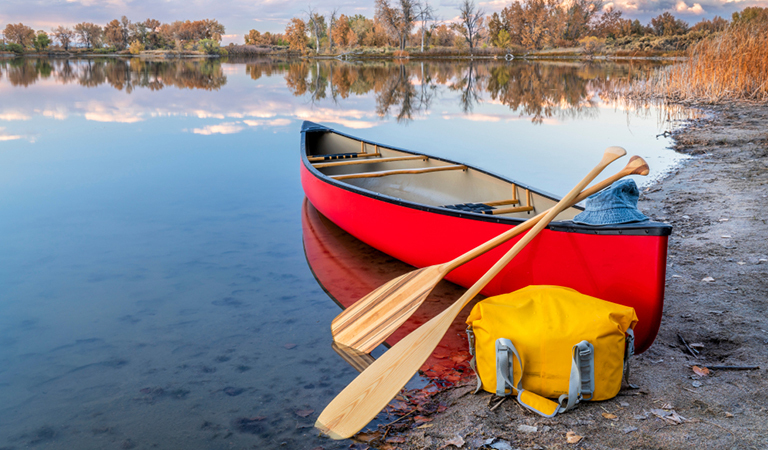 Even if you know the difference between a canoe or a kayak and end up buying one, what good would it be if you do not use one? How about using your boat to take part in canoeing and kayaking competitions for some extra fun? There are various events across the United States that you can participate in. 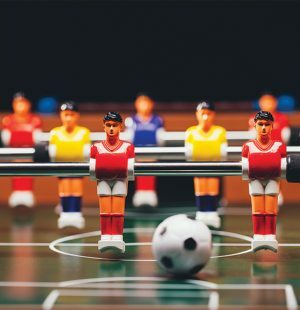 You can even dream to go to the Asian Games and Olympics, or try taking on the World Championships! Here are a few tournaments where you can participate if you are not a professional. The Adirondack Canoe Classic: This is a 90-mile race from Old Forge to Saranac Lake in New York. It takes three days to finish, with more than 250 canoes and kayaks taking part. In fact, canoers and kayakers from all over the world come to participate in this event. The Backwaters Paddle Quest: A fantasy adventure type contest held on the heart of Wisconsin river, somewhat at the beginning of August. This lasts around two days, with one night of rest. The players can encounter various fantasy characters along the way according to the storyline. They can also make decisions and alter the storyline. 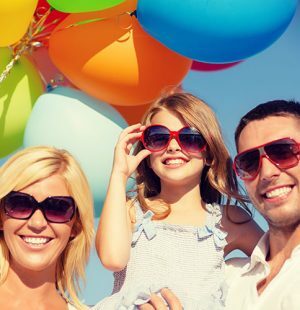 This quest is a must-try especially for those with families. It’s a perfect way to get the whole family together for some large-scale action and thrill, instead of playing boring video games at home. 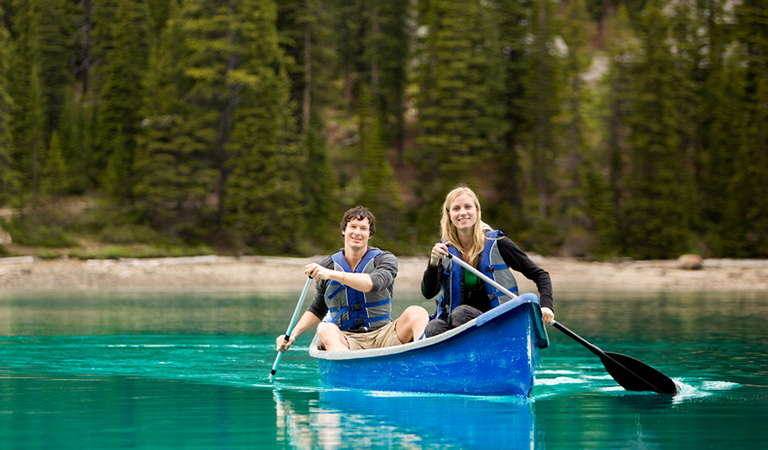 Canoeing and kayaking are great ways to give yourself and your loved ones some fun and memorable time. Instead of sailing out on expensive cruise ships, you can enjoy the oceans and rivers with just a lightweight canoe or kayak. They can also give you a comfortable fishing experience out on the waters. Believe it or not, you can catch fish as small as trout to as large as sharks! You can also swim with whales and dolphins if you are lucky enough. However, you must stay on guard and prepared at all times. Always head to open waters wearing protective gear and with handy accessories around so you can return to the shore safely.